I have thought long and hard about how to announce this change. It wasn't an expected change and it has been a tough couple of weeks. I have gone through a process of disbelief, anger, and then finally peace. 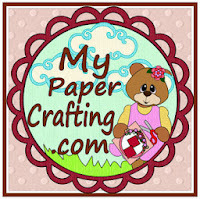 If you care to know the details, please feel free to read on, if not: then all you need to know is that our new BLOG ADDRESS is: MyPaperCrafting.com. If you are reading this, then that means you "made it here" to the new blog address. So be sure to add us to your favorites and or refresh your page and make sure you bookmark us. We are gearing up for our big 25 Days of Christmas and Year "Round Crafting and will be giving away tons of FREE CUTTING FILES , DIGI STAMPS and Graphics. We have almost 30 Designers once again participating in this event so each day will be an inspirational treat! Now on to the, "WHY THE CHANGE?" " It has recently come to our attention that your company is trading on the CRICUT® trademark, using the CRICUT® trademarks, or something confusingly similar, to lead consumers to your competing website". 1. A PERSONAL BLOG...not a website. 2. Never a COMMERCIAL SITE. NOTHING WAS EVER or IS NOW SOLD ON CWC (This blog). 3. It WAS a CHALLENGE & Inspiration blog where EVERY Wednesday a group of crafters would share their CRICUT related projects with you and ENCOURAGE you to use your Cricut products to join in the challenge. As of this week, we are at challenge #110. We started our challenges at.....#1. That is how many WEEKS we have been promoting the use of CRICUT related products. 4. Every Monday and Thursday during this past Spring and Summer, (and Mondays this Fall) those same crafters would share CARTRIDGE SHOWCASES. Inspiring you to look at your Cartridges in a new and different way. 5. I have NEVER received any monetary compensation from ANYONE for all that the blog has done and continues to do. It has been a labor of love by myself and the many wonderful crafters who have darkened our doors. 6. I did have sponsors throughout the last two years offer to give products away as prizes. In exchange for this, I would place a "badge" and "link" to their site on the blog. Just like many of you do too. IF anyone wanted to research or purchase anything from any of the sponsors, they would have to make a conscious CHOICE to click OFF CookingWithCricut.com to pursue purchasing ANYTHING from ANYONE. The only conclusion I could draw; they ascertained their assumptions based on the fact that I own PaperCraftingWorld.com. CWC is not a competing website, It PROMOTES their product, EVERY WEEK at least once if not twice a week. I don't understand how PCW is even considered a competing website. Their products are cartridge based and require exclusive use of a particular machine. Cutting files are open to any number of cutting machines. And graphics, well anyone with a computer and printer can use these. I guess to me, it would be like comparing an orange and a grapefruit. Both in the citrus family but yet, very different. I have been give the ability to create cutting files and digital stamps and graphics by the grace of God. I owned and maintained an online presence for a very long time. LONG before CookingWithCricut.com was even conceived. At that time, I taught classes at different Local Scrapbook Stores. I only began to sell cutting files because I would run out of kits and people would request them. They were willing to purchase the files and then hand cut the patterns. Many didn't even have the "machines" or "tools" to cut them out electronically. Back when I began CookingWithCricut.com I chose the name because I had so many students who purchased this machine and wanted IDEAS on how to USE what they had purchased. I like so many of you had purchased and "bought into" the machine too. I have owned 2 Cricut Originals (baby bugs), 4 Cricut Expressions, two Original, One Yellow and One Pink. A Cricut Cake (my daughter's Christmas gift) Design Studio and my Gypsy. I own 203 Cartridges and was given access to link up several more on my Gypsy by a friend who graciously allowed me to link them up. I was so busy teaching classes and producing kits that I wanted a creative outlet for myself. I wanted to be able to create with all this merchandise I had purchased and give people ideas and inspiration. I wanted to share my "recipes" with people...the sizes, cartridges, etc. So that is WHY I chose the name CookingWithCricut. I PURPOSELY chose another and different name and "web" location each time I ventured into a new online endeavor. I wanted all things to be separate and have their own place. It was my way of placing a distinction upon each facet of what I have done and continue to do in the crafting community. I have had some of the most wonderful crafters join me on the challenge and inspiration blog journey and I know that CookingWithCricut.com encouraged many crafters to use and purchase Provo Craft Product. BUT, like many of you, my crafting time and direction continues to evolve. I don't have one 10th of the resources I used to have. Like many of you, the economy has had a nearly devastating impact in my family, personal life. As a result, I have to be resourceful with my crafty supplies. I cannot afford to purchase any new crafting materials. I also began to see many crafters make other choices with their crafting dollars. So I chose to INCLUDE and ADD a team of crafters who would challenge you to use other tools to craft with. These designers use the PaperCraftingWorld.com files with "other" machines and each Tuesday I offer a FREE file for visitors to grab. Again, it is all a choice people have and my hope was to be a diverse blog where you could see a VARIETY of paper crafting and not just ONE FACET. I have heard from more than a few of you who have taken the time to thank me for the free files. Like me, they don't have the money to purchase much beyond paper and glue. So the free files allow them to have some creative options at little to no cost. I believe in my heart offering the free files has been a blessing to many budget conscious crafters and it is my small way of offering a bit of joy to some of you who have had a rough go of things. "take such action as is necessary in order to protect our rights including, without limitation, legal action for injunctive relief and/or to recover damages without further notice to you". This statement above was truly outrageous, completely off the mark and literally the icing on the cake! I couldn't believe that they would actually threaten to sue me!...ME! The amount of money I have made offering anything for sale, on any of my OTHER sites would probably not even equate to what their "COUNCIL" makes in a week, maybe two but absolutely less than a month of his wages." Almost laughable if it wasn't so astoundingly absurd! But then after my feelings subsided, I realized that maybe this was a blessing in disguise. Being forced to change the name would give me the freedom to continue to walk along side all of you and allow the designers and myself the opportunity to continue to share a variety of crafting projects and inspiration with all of you. I also had to consider the designers themselves. We aren't just a group of crafters, we are friends and have found a wonderful and common bond in crafting. Like me, many of them only want the joy of sharing their creations with you. None of them signed up to be a part of the "politics" and unpleasant side of crafting. Some of them, like some of you and me are barely keeping their heads above water. Crafting together has offered them a wonderful opportunity to connect with our other team mates and YOU. Your comments and kindness have encouraged these gals in ways you couldn't even possibly know. So for that reason alone, we have decided to keep on "keeping on". Both Design Teams: The "CookingWithCricut" gals and the "PaperCraftingWorld" gals have graciously decided to continue to keep inspiring you with their crafts and challenges. The CookingWithCricut Wonderful Wednesday challenge will now be the Wonderful Wednesday "Craft With Cutters" challenge. So they will still be the CWC gals. The PaperCraftingWorld.com gals will continue to inspire and challenge you on Tuesdays and will still be the PCW gals. You can expect to grab a FREE cutting file with Every Tuesday Challenge and If you play along with the Wednesday (CWC) challenge, you could still be a top chef and win a free digital stamp or cutting file. We have also included a new post on Fridays called: Digi Desserts Fridaze. Designers from both teams will share projects they have created using digital images from PaperCraftingWorld.com. You will have the opportunity to link up any project you create as well. You can expect to grab a FREE Digital image with every one of these posts. Again, each one of these wonderful posts is meant to provide you with continuing crafty inspiration no matter what "genre" or direction your paper crafting takes. 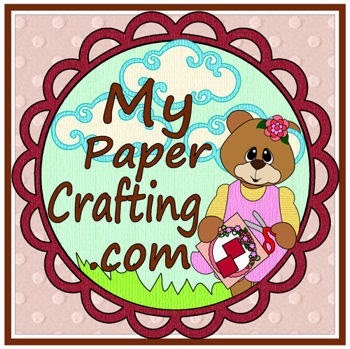 Please be sure to add our new address to your crafty time and please continue to follow our "bloggy" endeavors here at "MyPaperCrafting.com". For the many bloggers who have won our "TOP CHEF" prize and or if you have graciously shared our blog badge on your blog, please head over to the blog and grab one of the new buttons. The link to grab them will also be on the right column. Also, we are moving our Facebook presence away from CookingWithCricut.com so you can stop by our New Facebook Page and "Like Us" there. Wow. I'm so sorry that you're going through this. I hope that this does not deter your love of papercrafting. I'm saddened that our world has come to this. I'll follow you anywhere. Much love! Melin, your post here and having to change your blog site is just puzzling and sad. I found your blog because of the word "Cricut" in the name. I have been a follower for a couple of years now and one thing I have always noticed was how you and your team promoted and made projects using Cricut products. I have really wanted to by a couple of their cartridges because of you. I haven't been able to however, because of the cost of their cartridges. I bet if you add up the cartridges sold because of you, they owe you money. Right now, I am thinking of upgrading my machine, but I am not looking at a Cricut. Their cartridges are too expensive and there are things on each one that I don't use. I feel they don't have their everyday crafting customers best interest in mind. Instead of trying to threaten those that are offering a much cuter and cheaper files for sale or as a freebie, Cricut really needs to get on the band wagon and join the affordable market. Good luck on your new site!!! I will follow you anywhere!! I am totally with your Melinda! I have proudly designed for you and was amazing at how much your website help bolster support for cricut projects and programs. Of course I will follow you anywhere and wish you the best of luck in all your endeavors. You deserve better. Wow, what a shame you have had to go through all of this with Provo Craft. But I am so glad you decided to go forward with a new site -- and I will continue to follow and support you and your designers. I always find inspiration on your site!! On a different note, I am having issues with your word verification. I type in the words I see and get a message that it was not correct. The next set of letters/numbers that come up, some are unreadable. I am now trying for the 4th time to post and I can't make out the second set. And I just got new glasses too!! So, so sorry to hear about your "Cricut" woes - so very unfair of them to bully you in such a way. I truly believe that one will beget what he or she dishes out and ProvoCraft will fall victim to itself. On a more positive note, you are an absolutely generous and thoughtful crafter who gives a lot of yourself and your talents. I appreciate very much all the wonderful freebies you offer to us on a regular basis. Thank you also for having your sales where I am able to afford a few more files. I LUV what you and your design team do and only hope you are not deterred by this bully and continue to share with us. Thanks, again and may you stand strong in light of all that has happened in the last little while. You don't deserve any of this. It is ProvoCraft's loss and perhaps this will be its journey to its own demise. Oh my goodness! Thank you all for your super kind and supportive words. I can't tell you how much each and every comment means. It really saddens me that this did have to happen, but like I said, in the end....there is always a silver lining to things. So we will move onward and upward and still share our love of crafting :-) Thank you again!!!! Melin...I just don't have words to say how upset this makes me and how bad I feel for you. I follow BOTH of your blogs...one to encourage me with my cartridges and one to use with my other cutter and files. I just don't understand why Provocraft is being so awful to EVERYONE lately. Do they not understand that when we see a cute project made with THEIR CARTRIDGE it encourages us to buy that cartridge? Lately, I have lost all respect for this company and am saddened by their hostility towards those that promote and use their products. I'm glad for your attitude of goodbye and good ridance... out with the old and in with the new and more positive aspects! Hugs to you! the more i hear about provo crafts bullying tactics the more disillusioned i become with that company. i started crafting with cricut, but recently switched to the silhouette cameo because of their attitude. their customer service is sorely lacking, their products are expensive, and their attitude towards crafters seems to be reprehensible. i will never understand why they can't see all the free publicity they get from crafters promoting their products. you'd think they be grateful rather than litigious. Melin, So sorry to hear about this. I have never trusted Provo Craft since the lawsuits against MTC and SCAL. Then, in my opinion,they proved how selfish cruel they were with the lady who suggested Cricut Cake. I no longer buy ANY Provo Craft products. What they are sowing, they will reap. I am so sorry. Many changes taking place at PC and instead of working together to inhance their product by those of us who tout its' praises, they are turning faithful users away. I will follow your new BLOG. What a horrible, under handed thing for PC to do to someone who has supported PC products for a long time. I wish there was a way for all of us to send the PC Council a letter back asking them to cease and desist with their deplorable behavior and shortsighted bullying that is driving their most loyal supporters away! Good for you Melin for rising above this distasteful business tactic and going your own way. I for one will follow your new blog and share your story with others to do so as well. Wishing you many blessings in your latest endeavor. Oh my gosh, i have been out of town and missed this post. I feel so bad you are being put thru this. I always loved playing along with CWC. Wow PC is really burning some bridges and gonna lose a lot of faithful followers. I am sorry you are having to make these changes. I have been playing along on the challenges for awhile now and not once have you done wrong towards PC. I will start following your new site. Melin....sweet Melin, I can NOT believe this!!! How much you inspired and CHALLENGED me to use my CRICUT cartridges and influence me to buy more due to the projects other designers have created is amazing. I really am dumbfounded about Cricut and this letter. Your digi cuts and stamps are super adorable. I am glad you worked this all out to continue the work of inspiring your fellow crafters!! I am so sorry Provo has scared you into changing your beautiful creations and website. I have slowly lost any love I have had with them and their products. When they did the same to some of my favorite to buy the carts, I now longer buy any carts no matter how much I want them. I now ordered another popular machine that seems to be better than the Cricut so I will be on that route. Thanks again for all of your files and inspiration. Just follow God's path for you and you will excell and succeed. I am sorry for this mess, but fully support you. I gave up on Provocraft more than a year ago. it seems like they should be THANKING you and many others for the free advertising you have provided. I've already signed up for your newsletter at the new site, don't want to lose you! I hope the "Big Wigs" at Provocraft are reading these comments. It is because of actions like this that I no longer purchase any products associated with this company. Perhaps if all supporters did this they would take note and leave the "small fry" and ultimate supporters of their products alone. I wish you the best and I feel sorry that they have placed you in this position. I am sorry they did this to you. They seem to be intent on ruining their own business. Going after the bi & little people especially the little guy!! I have gotten so disgusted with them that I sold it all, 2 Expressions, Gypsy, Juke box, & 130 cartridges! Have a Cameo now & love it!! Goods luck with your new blog & realize you are not alone. They seem to be paranoid!! I am so very sorry for what you have been going through. You, my dear, have more class in your little finger than they do in their entire company. I'm thankful I do not, nor would I ever have, a Cricut in my home. I came by to see your creations, your inspiration using their products. You gave them ample, free advertising and they were not wise enough to see that. As some have said, good-bye and good riddance. I've bookmarked your new site and will gladly remove the other bookmark. I will enjoy seeing the new inspirations and will gleen from all you gals what you will so freely share - your giving creativity. Hold your head up high, you have nothing to be ashamed of. Thanks to all of you for what you have so freely given in the past and I look forward to your many new adventures into the next realm of creativity you will bring to all of us. Wow, how absolutely ridiculous!!! Thank goodness it didn't turn you off completely to crafting. I'm a huge fan of all you talented crafter. I wish I have your talent. I'm a cricut fan & for Provo not to realize that all you have done is promote their product for more sales. Then they're just plain stupid. I understand legal aspects however, maybe they should have asked for more details before making threats to you. I wish you the best at the new site. To Provo BIG MISTAKE... Remember word of mouth is still the biggest way to promote both POSITIVE & NEGATIVE marketing. I think you owe a formal apology.